Together, we can end all forms of abuses. On November 25, 2017, Vice President Leni Robredo visited Juan Sumulong High School in Quezon City as one of panelists in the third national event of the Babaenihan campaign. Babaenihan is a joint project of the Office of the Vice President (OVP) and the United Nations Population Fund (UNFPA). The dialogue was held as a part of the 18-day campaign to raise awareness on violence against women (VAW) as a public issue of national concern. Babaenihan is observed annually from November 25 to December 12. The panelists included Klaus Beck, the UNFPA country representative, and Jean Enriquez, the executive director of the Coalition Against Trafficking In Women-Asia Pacific (CATW-AP). What Is Abuse And What Do We Do When It Happens? The highlights of the event include exhaustive explanations of the causes of abuse, what to do about abuse, and a few tips from the panelists about preventing abuse. A Grade 12 student from Juan Sumulong High School asked during the event what to do after a friend confided to her about an abusive boyfriend. 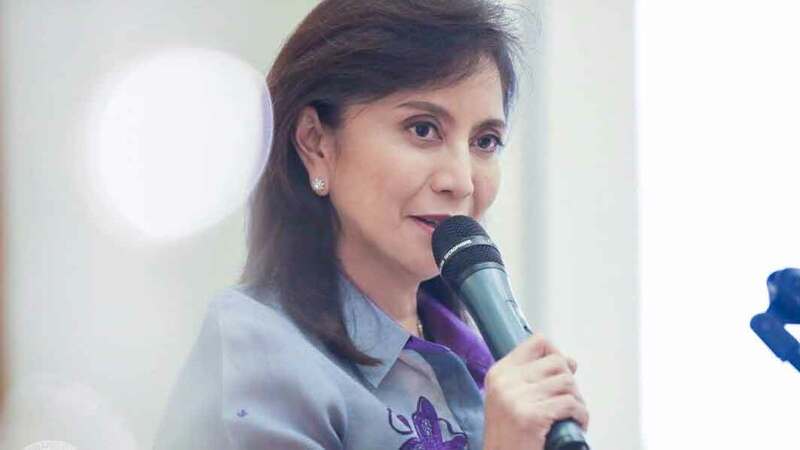 During the talk, VP Leni was also keen on making the audience—mostly students and faculty members of Juan Sumulong High School—understand the different forms of abuse. The panelists all agreed that the answer to such a question may contain complex layers, but VP Leni shared one lesson that she learned from her previous job as a lawyer for victims of abuse. Women need to be independent, because dependence is a common cause of women allowing abuse to happen to them. Klaus focused on the pressures that the survivors are feeling from many sides. He stated, “Other pressures that might be outside from the society, which relates to that if you experience those kinds of issues, you are meant to resolve them as a family, and you’re not meant to seek outside help. That could be some pressures from the community or maybe even from cultural or religious sides that you’re not expected to raise these issues outside of the family.” He also said that some victims may have grown up in a home where abusive relationships are “not unusual.” He added that some perpetrators may also be victims of abuse themselves. You can also visit this website to learn more about the campaign to stop violence against women.